One of the best ways to reduce your study time, or at the very least, reduce the time it takes for you to study is to master the concept of speed reading. Not simply just reading fast, but to maintain standard levels of comprehension when reading. 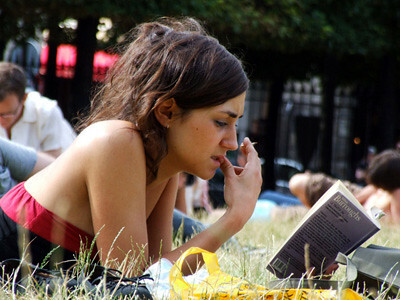 Learning to speed read is not as hard as you might think. All it takes is learning the basic principles behind it and then spending a short time practising. The best part about it is that you can actually practice with whatever study materials you have, so in effect you will also be learning whatever it is you are practising. There are a lot of different kinds speed reading techniques available and you will need to try a few to see what works for you. One of the most common methods is to be able to identify words, not as a collection of letters but as a single object. So for example the word “the” would be recognized in its whole form and not from the three letters combined. When reading you would pickup “the” as a single entity instead of seeing the letters “t”, “h” and then “e”. Its actually a very simple concept and does not require any great talent. Another method is to be able to identify words just by the shape of the top of the word. In that sense almost all words are unique to the shape at the very top and this technique goes a long way to radically improving your speed. At the end of the day, once you have the hang of speed reading, with the proper comprehension levels, you can read a text book in roughly a quarter of the time it would normally take you. This means that you can either spend a quarter of the time studying or read the same text several times over if you need to memorize the information. How should you start learning? Well, the fastest way is to download or buy software which teaches you speed reading. These programs also test your comprehension levels after the reading session and can give you statistics on your performance and any improvements you might have registered.